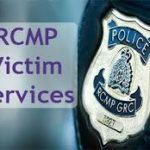 Victims of Violence Canadian Centre for Missing Children is a federally registered charitable organization (Reg. 130 922 867). Our mandate is to provide support and assistance to victims of violent crime and their families, and to provide information relevant to the prevention of crimes against children. The organization began in Alberta in 1984 and quickly expanded into a national organization. Two of the founding members were Gary and Sharon Rosenfeldt. Their 16-year-old son Daryn was one of 11 children abducted and murdered by a serial killer in British Columbia in 1981. Throughout their own personal tragedy and their necessary dealings with the justice system, Gary and Sharon found that there were virtually no services or support programs for crime victims. During the time Daryn was missing, they had received little help from anyone in finding their missing child. When the offender was apprehended, the attention of the justice system seemed to be centred solely on the offender. Three years later, in March of 1984, with other parents of murdered children, they founded the organization “Victims of Violence Canadian Centre for Missing Children” commonly known today as “Victims of Violence.” The original office was based in the Edmonton Provincial Court House. The head office has since been moved to Ottawa. Since its inception, Victims of Violence has evolved to meet the needs of Canadians. With the hard work of many advocates in our country, victims now have a place within the criminal justice system. It remains our mission to ensure that victims of crime are treated with dignity and respect.